Two myths about Sino-North Korean relations, both supported, frequently reiterated, and almost never challenged in Chinese official media or academic publications, have spread far and wide in China. First, that North Korea’s1 political system embodies rationality and progressiveness because it is a socialist country; second, that North Korea is China’s fraternal state and has traditional ties of friendship with China that were forged in blood. According to these Chinese myths, China’s first generation of leaders determined that China should provide unconditional support to North Korea, and that “friendship diplomacy” should be the bedrock of Chinese statecraft toward North Korea. 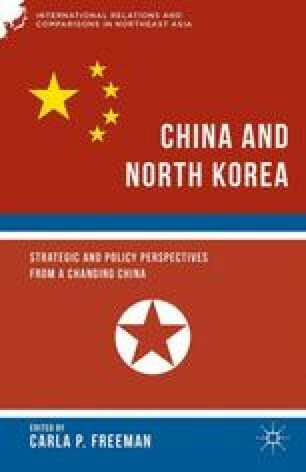 For the outside world, the Korean issue is a China problem and China is assumed to have considerable leverage over North Korea. Despite China’s domestic historical myths and this commonly held outside view, China has long been in a great quandary over the Korean issue. One of the main reasons for this dilemma is that North Korea is so sensitive an issue for China that no one dares to tear off the veil. No Chinese dares wander into this troublesome area in Chinese statements or publications: neither political figures, diplomats, nor academics.2 Amid the scarcity of serious Chinese academic studies based on historical facts, random comments on North Korea and Sino-North Korean relations have permeated the Internet in the past several years, contradicting the official Chinese narrative as well as historical facts.